"We absolutely love the piano! As you know, I had very high expectations and they have all been met or exceeded. It is as much a pleasure to play as it is to listen to. My daughter's first comment was "this piano is easier to play" which I agree with 100 percent, as I don't play often and don't have very strong fingers, but I found I could play some rapid passages evenly for the very first time due to the responsiveness of the action. We actually enjoy listening to our six year old daughter play simple songs and exercises (over and over)--the lovely tone of this piano is really special! 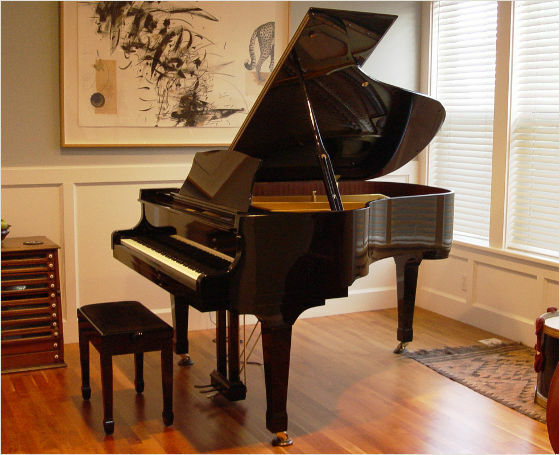 The mid range is mellow, the very high notes sing, and the very low notes almost growl a little--I am already feeling like this piano has a real character of its own. Thank you all for creating it for us!"